Technically, it is not even Mother’s Day in the US yet, but this year my gift arrived early all courtesy of The New York Times/Women in the World. We get so caught up in flowers and chocolate, but the real gift for mothers, on this day to celebrate us, is really having ourselves and our loved ones be in good health. I am so honored to share my #MothersDay story. It only went up this morning, but already tweets & Facebook comments are pouring in from women with similar stories of traumatic deliveries. 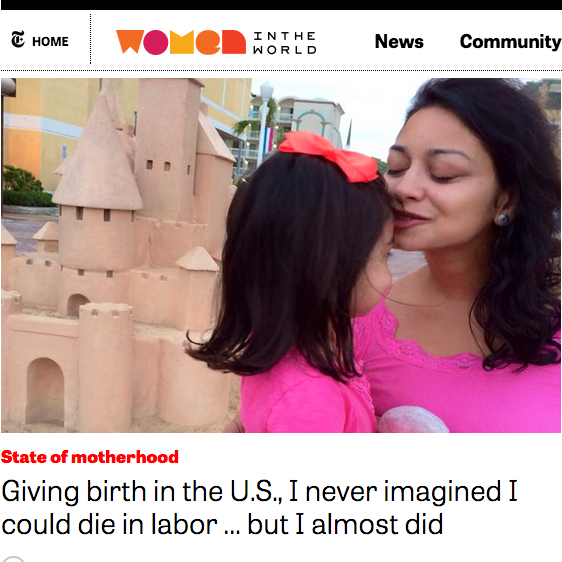 Many of my readers also expressed shock over the maternal mortality stats in the US, while many knew of them all too well. Check out my story here & tell me yours!